Foreign national residents in Qatar holding a UAE E-visa issued on the basis of their Qatari Residence Permit approved before or after June 5, 2017 will possibly be denied entry to the UAE. Their eligibility to enter the UAE based on other categories of visas remains unaffected. Foreign national residents in Qatar holding a UAE E-visa issued on the basis of their Qatari Residence Permit - Gulf Cooperation Council (GCC) Residents Visit Visa - approved before or after June 5, 2017 will possibly be denied entry to the UAE. Their eligibility to enter the UAE based on other categories of visas remains unaffected. Regardless of the recently imposed restrictions on travel between the UAE and Qatar, including the discontinuation of electronic Visit Visas for GCC residents for individuals with a Qatari Residence Permit, there have been cases of visas being pre-approved. However, given the absence of any official guidelines on this situation currently, the decision on entry remains at the discretion of an immigration officer at the port of entry. Holders of electronic Visit Visas for GCC residents, approved on or after June 5, 2017 based on the Qatari Residency Permits should not travel to the UAE as they may face the risk of being denied entry. 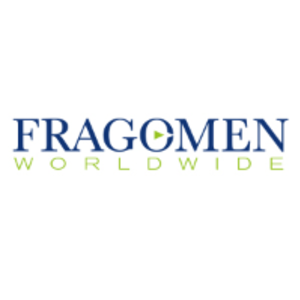 Fragomen can help identify impacted nationals and advise on potential restrictions applicable to them. Fragomen will continue to monitor the developments and will provide further updates as new information is released. This alert is for informational purposes only.